Blockchain, a decentralized or a distributed ledger that uses complex cryptography to conceal all and each of the entity block’s identity; with a closed chain of peer to peer network that brings together distributed time-stamping. In recent times it has made its mark in the fin tech sector by offering an immutable and public electronic ledger that can be used to store or record the complete history of financial transactions and decreases the possibility for any chance of data falsification in the future. The term “Blockchain” has been often thrown around a bit in the tech world. Some experts even claim it as the next big paradigm shift happening in the present internet day and age after introduction of internet itself. Technology has made its way into most or aspects in our everyday life; be it banking, administration, medicine, supply chain, manufacturing, FMCG, shipping and logistics, you name it. Everywhere computers are used and infinite software is being designed, built to cater and fulfill all their requirements. Mostly software is built based on an underlying technology using a programming language along with DB if necessary. The only problem is that our dependability and reliance on computers in our daily life is increasing at an alarming rate. With such high stakes, technologies nowadays are still most vulnerable and prone to illegal cyber attacks, hacking, phishing and other such unethical cyber practices. Blockchain is a technology that promises to eradicate most of these flaws and make it most secure. When the middlemen are extinct the process becomes less complex and inexpensive. If 2% is the transaction fee, it seems negligible. But imagine a 10 step supply chain; this adds up to 20%. By eliminating the middlemen, you would save yourself a load of cost and time. These kinds of transactions are happening in the economy right now and bringing it down. Though supply chain has proved to be effective in reaching places and making things more accessible, it has proved to be inefficient in many other ways such as this. But the introduction of blockchain changes all that. With the middlemen eliminated and decentralization becoming a practical possibility, it could have a huge impact on the economies of the world. Blockchain provides support to formation of much more complex value networks. Add in the possibility of encrypting your identity and you have one sweet, virtually impenetrable and secure platform for transaction to move forward. This in-turn takes transparency to another level. With the success of the cryptocurrency “Bitcoin” which is built on the blockchain technology, it is undeniable that blockchain is going to be the future in the tech industry. 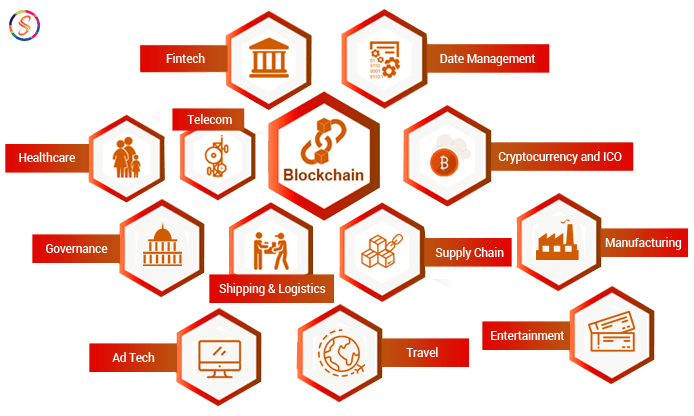 Being a pioneer in a variety of blockchain and cryptocurrency based solutions; Scala Blockchain (www.scalablockchain.com) provides innovative solution and services pertaining to Blockchain consulting offered by hand-picked team of expert blockchain consultants.